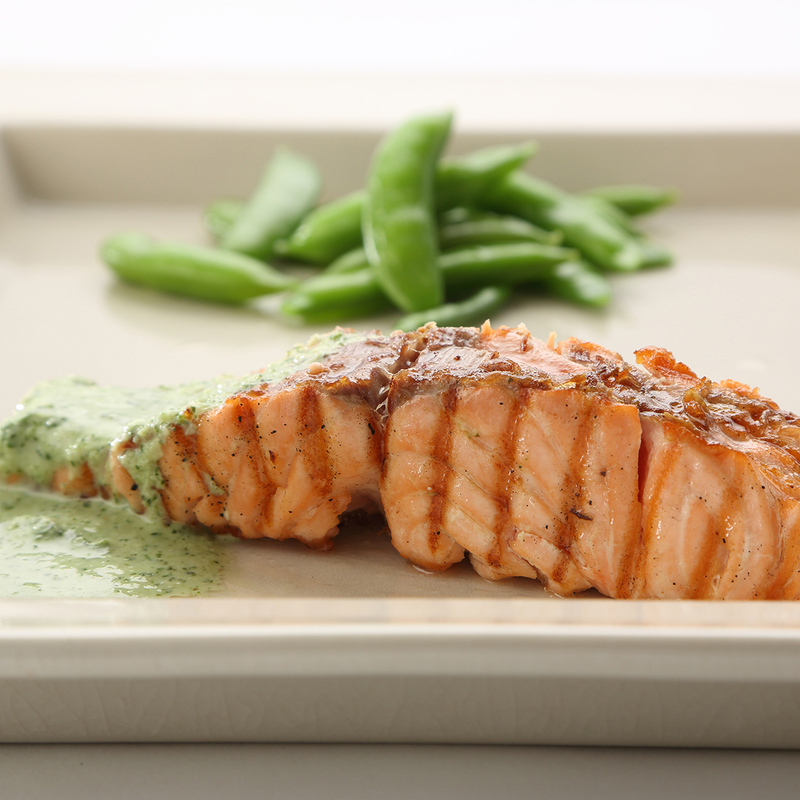 Chargrilled salmon with coriander & mint yoghurt - home cooked food delivered. Salmon fillets (FISH), Greek yoghurt (MILK), shallots, fresh ginger, green chilli, fresh mint leaves, coriander, seasoning. Preheat the oven 180c. Place the salmon fillets in roasting tin, cover with foil and a splash of water and cook for approx 12 mins till piping hot.